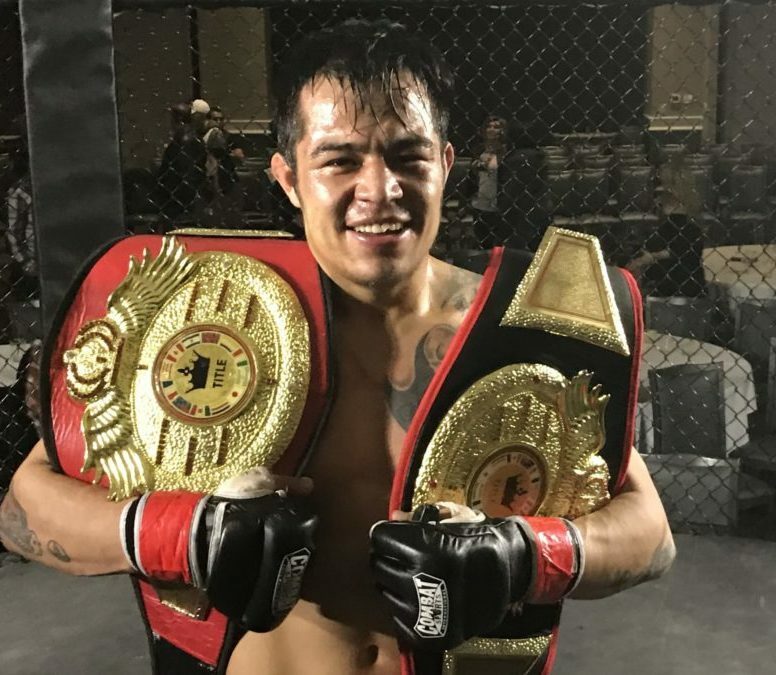 Jose Leon claimed the XFO Rocktown Showdown Bantamweight Title. Jose Leon won the XFO Rocktown Showdown Bantamweight Title, then won over the Rockford crowd. Leon was up against hometown favorite Danny Bazarek, and he drew the ire of the crowd after being penalized for an illegal elbow that looked to cut Bazarek over his right eye. Leon finished Bazarek in the third round, but many in the crowd thought that was in part a byproduct of the illegal strike. “I did not feel it was an elbow, but the referee decided to take a point away,” Leon told Chicago’s MMA. The final sequence came in round three when Leon took Bazarek’s back, got to mount and then proceeded to pound on Bazarek until the ref stepped in. Leon delivered a killer promo during his post-fight interview with cage announcer Miguel Flores and won over the crowd by detailing how tough and strong Bazarek is and how he respects the passion of the Rockford fight fans, many of which would like to see a rematch. Leon said he would be up for it, and so would XFO promoter Dan Lardy. “I’m all for a rematch in the future, but ultimately it’s up to the fighters. I know the fans would love to see it — such an exciting fight!” Lardy said. Devon Bankston proved himself a star in the making by tapping out former lightweight champion Michael Parker in the third round. Bankston is one of many up-and-coming fighters from Red Schafer MMA. Derek Hendriex recorded two knockdowns against Mitch Kanter in their XFO Rocktown Showdown Middleweight Kickboxing Title bout, but Kanter showed incredible heart in staying the course. Kanter started to return fire and match Hendriex in round two, but Hendriex was unable to answer the bell for the next round, seemingly due to exhaustion. This is another fight where a rematch makes sense. Josh Howard looks like a prospect to watch. Making his debut, Howard sunk in a slick Japanese Necktie to finish MTC’s Jay Blancas. James Bochnovic and Thomas Holder announced they will both fight on the undercard at Bellator 175 in Chicago. Next XFO is on March 11, live on UFC Fight Pass at the UIC Forum. (155 – Muay Thai) Elijah Coffman (Team Haanpaa) def. Joseph Posey (AKOSA Acadamy) – Split dec.